Summary: All have to pass through what may be called the process of stripping and emptying. There is no more fruitful field of study than that which is opened before us in the history of God's dealings with souls. It is full of interest, and abounds in instruction and profit. One grand object in those dealings is to produce real brokenness and humility — to strip us of all false righteousness, empty us of all selfconfidence, and teach us to lean wholly upon Christ. All have to pass through what may be called the process of stripping and emptying. With some this process precedes, with others it follows, conversion or the new birth. Many are brought to Christ through deep ploughings and painful exercises of heart and conscience — exercises extending over years, often over the whole lifetime. Others, on the contrary, are brought with comparatively little exercise of soul. They lay hold, speedily, of the glad tidings of forgiveness of sins through the atoning death of Christ, and are made happy at once. But the stripping and emptying come afterwards, and, in many cases, cause the soul to totter on its foundation, and almost to doubt its conversion. This is very painful, but very needful. The fact is, self must be learnt and judged, sooner or later. If it be not learnt in communion with God, it must be learnt by bitter experience in failures and falls. "No flesh shall glory in God's presence;" and we must all learn our utter powerlessness, in every respect, in order that we may taste the sweetness and comfort of the truth, that Christ is made of God unto us wisdom, righteousness, sanctification, and redemption. God will have broken material. Let us remember this. It is a solemn and necessary truth, "Thus saith the high and lofty One that inhabiteth eternity, whose name is Holy: I dwell in the high and holy place, with him also that is of a contrite and humble spirit, to revive the spirit of the humble, and to revive the heart of the contrite ones." And again, "Thus saith the Lord, The heaven is my throne, and the earth is my footstool: where is the house that ye build unto me? and where is the place of my rest? For all those things hath mine hand made, and all those things have been, saith the Lord: but to this man will I look, even to him that is poor and of a contrite spirit, and trembleth at my word" (Isa. 57:15;Isa. 66:1, 2). These are seasonable words for all of us. One special want of the present moment is brokenness of Spirit. Nine-tenths of our trouble and difficulty may be traced to this want. It is marvellous how we get on from day to day, — in the family, in the assembly, in the world, in our entire practical life, when self is subdued and mortified. A thousand things which else would prove more than a match for our hearts are esteemed as nothing, when our souls are in a truly contrite state. We are enabled to bear reproach and insult, to overlook slights and affronts, to trample upon our crotchets, predilections, and prejudices, to yield to others where weighty principle is not involved, to be ready to every good work, to exhibit a genial large-heartedness in all our dealings, and an elasticity in all our moral movements which so greatly tend to adorn the doctrine of God our Saviour. How often, alas! it is otherwise with us. We exhibit a stiff, unyielding temper; we stand up for our rights; we maintain our interests; we look after our own things; we contend for our own notions. All this proves, very clearly, that self is not habitually measured and judged in the presence of God. But, we repeat — and with emphasis — God will have broken material. He loves us too well to leave us in hardness and unsubduedness; and hence it is that He sees fit to pass us through all sorts of exercises in order to bring us into a condition of soul in which He can use us for His own glory. The will must be broken; self-confidence, self-complacency, and self-importance must be cut up by the roots. God will make use of the scenes and circumstances through which we have to pass, the people with whom we are associated in daily life, to discipline the heart and subdue the will. And, further, He will deal with us directly Himself, in order to bring about these great practical results. 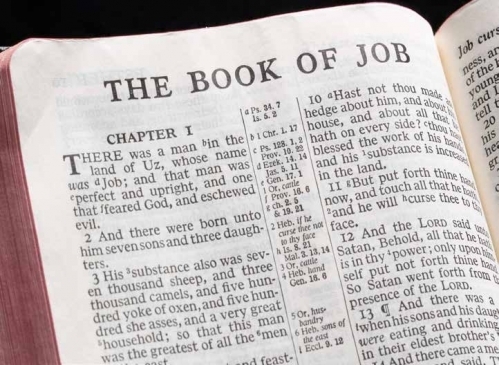 All this comes out with great distinctness in the book of Job, and gives a wonderful interest and charm to its pages. It is very evident that Job needed a severe sifting. Had he not needed it, we may rest assured the gracious, loving Lord would not have passed him through it. It was not for nothing that He let Satan loose upon His dear servant. We may say, with fullest confidence, that nothing but the most stern necessity would have led Him to adopt such a line of action. God loved Job with a perfect love; but it was a wise and faithful love; a love that could take account of everything, and, looking below the surface, could see the deep moral roots in the heart of His servant — roots which Job had never seen, and, therefore, never judged. What a mercy to have to do with such a God! To be in the hands of One who will spare no pains in order to subdue everything in us which is contrary to Himself, and to bring out in us His own blessed image! But, beloved reader, is there not something profoundly interesting in the fact that God can even make use of Satan as an instrument in the discipline of His people? We see this in the case of the apostle Peter, as well as in that of the patriarch Job. Peter had to be sifted, and Satan was used to do the work. 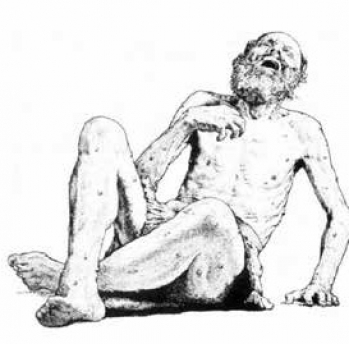 "Simon, Simon, behold Satan hath desired to have you, that he may sift you as wheat." Here, too, there was a stern necessity. There was a deep root to be reached in Peter's heart — the root of selfconfidence; and his faithful Lord saw it absolutely needful to pass him through a most severe and painful process in order that this root should be exposed and judged; and therefore Satan was permitted to sift him thoroughly, so that he might never again trust his own heart, but walk softly all his days. God will have broken material, whether it be in a patriarch or an apostle. All must be mellowed and subdued in order that the Divine glory may shine forth with an ever-brightening lustre. Had Job understood this great principle — had he apprehended the Divine object, — how differently he would have carried himself! But, like ourselves, he had to learn his lesson; and the Holy Ghost has furnished us with the record of the mode in which the lesson was learnt, so that we may profit by it also. C. H. Mackintosh (1820-1896) was an Irish preacher, Bible expositor, and author. Active in the Irish Revival of 1859-1860. For some forty years edited the monthly magazine, Things New and Old. His first tract, in 1843, was "The Peace of God," and his last, shortly before his death in 1896, was "The God of Peace."